1. Novi Pazar; 2. Kjulevcha; 3. Madara; 4. Dibich; 5. Cyrkvica; 6. Ivanski (Zlokuchen); 7. Nozharevo; 8. Nalbant; 9. Kapul Viilor-Istrija; 10. Bdinci; 11. Karamanite; 12. Dobrotich; 13. Topola; 14. Balchik; 15. Varna; 16. Varna; 17. Devnja; 18. Devnja; 19. Obyrshija Noua; 20. Izvorul; 21. Fryteshti; 22. Sultana; 23. 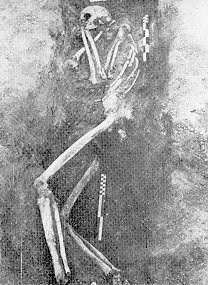 Kirnodzhi; 24. Cherna; 25. Varna; 26. Soithern Novakov rampart; 27. Northern Novakov rampart. 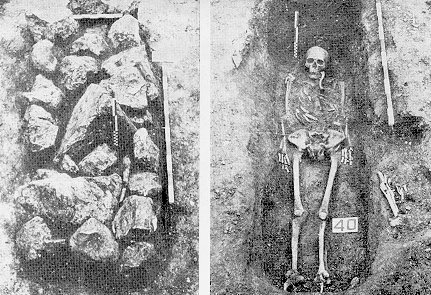 Grave with inhumation covered with stones from the Proto-Bulgarian necropolis at the village of Zholtoe, the middle course of Severski Doneck (Ukraine). 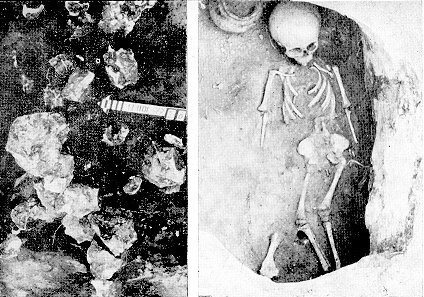 Grave No 40 from the Proto-Bulgarian necopolis at Devnja I, covered with stones. Grave No 71 from Devnja. 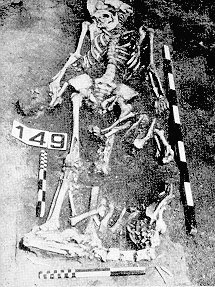 Grave No 147 from Devnja III with a ritually destroyed skeleton. 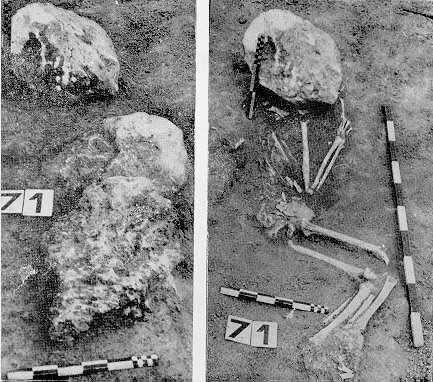 Grave No 149 from Devnja III with a dog laid next to the dead. 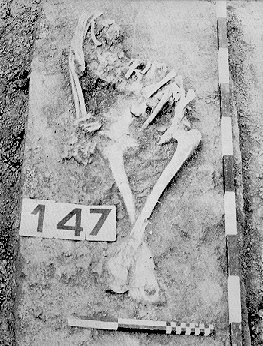 Grave No 13 from Devnja I with ritually amputated feet.